One of the ultimate goals of a traveler in Japan is to climb the country’s most popular and revered mountain, Mt. Fuji. With its beautifully symmetrical cone, Mt. Fuji has been a Japanese icon for many years. It is located on Honshu Island, and is the highest mountain in Japan at 3,776.24 meters or 12,389 ft. It lies about 100 kilometers south-west of Tokyo, and can be seen from there on a clear day. The beautiful Mt. 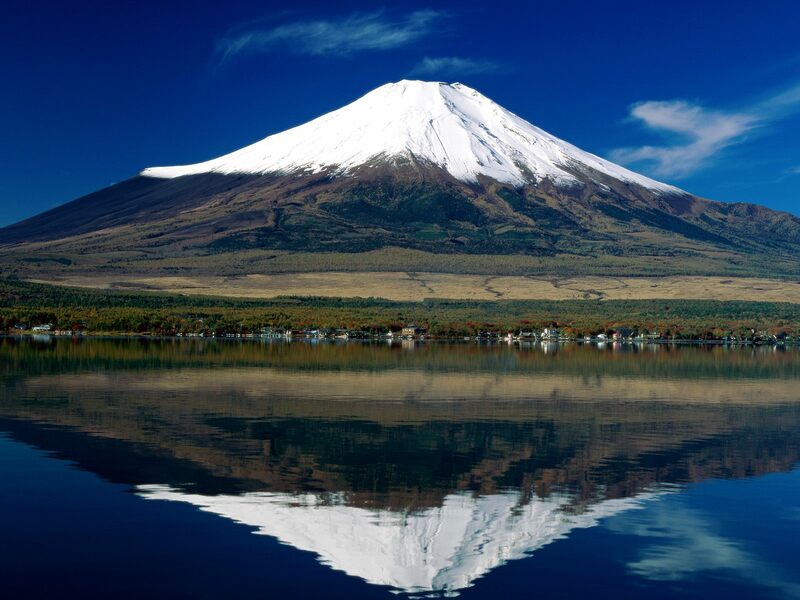 Fuji is Japan’s most famous icon and has become a goal for many people to climb. Climbing the mountain is limited to July through August. Despite its steep slopes, Mt. Fuji can be climbed up quite easily even by beginners. Signboards and mountain huts provide direction and places to rest. But it is necessary to try to become acquainted with the features of Mt. Fuji well in advance, and make thorough plans before climbing up the mountain. One must take note that even in the summer, the temperature is at least 20 degrees colder than ground level and the air is thin. In the afternoon, the weather becomes quite unstable with quite a high possibility of thunder. Mt. Fuji 5th Station and Toyokan Mountain hut. Climbers can drive up to the 5th Lake Kawaguchi–Yoshida-guchi course is the most popular course and takes about 6 hours to reach the summit from the 5th mountain huts along the way. You depart from the 5th become rocky slopes. Mountain huts are found at the Seventh Station and Eighth Station (2,700 m to 3,000 m). After passing the torii gate at the 9th station, which has an altitude of 1,400 to 2,400 meters. The Station. This course is recommended for beginners because there are many Station and climb gentle slopes which later Station the climb will be basically up bare rocks. Going up further, you will be welcomed by a white torii gate, and after climbing up more stairs, you will find yourself at the summit. The Kuzushi-jinja Shrine is found at the top where one can have a stamp impressed as a token of having reached the summit. There will also be mountain huts or rest areas at the mountain top and a place where one can mail postcards. The descent will be through a different route and would normally take 3 hours and 15 minutes. The mountain huts are well equipped with supplies but in case of an emergency, it is necessary that you bring a supply of water, light snacks and a change of clothes. It is also advised to put on trekking shoes and a hat to prevent sunburn. A walking stick or a trekking pole would also prove useful. There is cellular signal in the mountain so communication is not cut off during the climb. Japan is endowed with so many mountains, making hiking a popular activity for young and old alike. Through this activity, one can see and experience first hand the changes that happen to the scenery and activities through the seasons. Scenery is one of the major reasons why many people hike. From the beautiful cherry blossoms in the spring to the snow covered mountains in the winter, hiking brings people somehow closer to nature. A great part of Japan’s landmass is made up of mountains, Mt. Fuji being the most popular of all. Mt. Fuji has been the object of mountain worship, model for many paintings, and goal for many climbers. Many people climb Mt. Fuji to watch the sunrise called Goraiko from the top. The mountain is officially open for climbing during July and August via several routes. These being summer months, the mountain is usually free of snow, with the weather mild and public transportation many. For those who are beginner climbers, it is strongly suggested that you schedule your Mt. Fuji hike on these official climbing months. Another mountain that boasts of a variety of hiking courses, historic temples and a breathtaking view from the summit is Mt. Takao. Just an hour trip travelling west from Tokyo, Mt. Takao offers a unique blend of Japanese culture and beautiful nature. At the mountain is a statue of a ‘tengu,’ a long-nosed mythical figure, associated with the ancient Japanese practice of mountain worship to acquire magical and spiritual powers. Six well-maintained hiking courses starting from the foot of Mt. 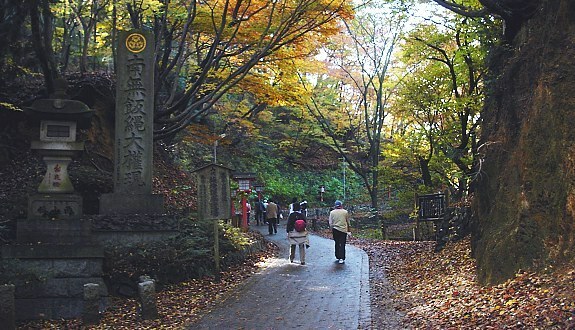 Takao and leading up to the 600-meter-high mountaintop allow visitors to learn about the nature of the mountain. One can ride halfway up the mountain by cable car or lift, so that the remaining climb to the top is not so difficult. This takes about one-and-a-half hours. In summer a beer garden with a magnificent view is open at the half-way point. The Mt. Takao Natural Zoo and Botanical Garden, where you will be greeted by monkeys that roam freely throughout the area is also found near the cable car terminal. For those who are interested in religious pilgrimage, there are 88 Buddhist temples that form part of a 40 day hike around Shikoku Island. There is also the spiritual Kumano Kodo pilgrimage route, a set of World Heritage listed trails around Wakayama prefecture. The quiet beauty of these places will surely revive your spirit and clear your mind off the hassles of the mundane world. Fruit picking is a very popular activity in Japan, both among visitors and locals. It may be because this activity is basically available all year round, even during winter months. Fruit picking farms charge two ways: one is by time, between 800 and 3000 yen, (between 30 – 60 minutes) depending on the fruit being picked and by weight of the fruit picked. There are a number of fruits gardens across the country. One of the most visited gardens is the Yamanashi prefecture, which is easily accessible from Tokyo. The Wakayama Prefecture in Kansai is also well known for its fruit picking farms. All year round, fruits are available for picking but the most popular time is during the summer and fall. Grapes are harvested from June until October. There are about 40 varieties of Grapes in Japan, and the best of its variety is “Kyoho”, the blackish-purple variety with large seeds. The flesh is very sweet and juicy. These grapes are exported to Taiwan, Hong Kong and Singapore and other countries. Japanese pears can be picked from September to October. Japanese pears are rounder in shape and similar to apples in size. These are usually left to ripen in their trees. “Nijusseiki” pears are are the most popular kind, and are exported overseas. This is the kind with yellow-green skin. September to January is apple picking season. The very popular“Fuji”variety, is very juicy and sweet, and has a bright red skin. The flesh has a crispy texture and the flesh tastes like it has sugar syrup. The“Sun-Fuji”variety is grown in areas with plenty of sunshine and is sweeter than the regular Fuji but with less beautiful skin. 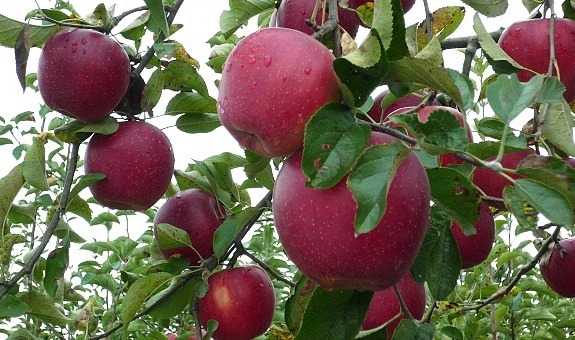 The most popular apple producers of Japan are found in Aomori, Nagano and Iwate Prefecture. The very sweet and juicy mikan or Japanese mandarin is picked from September to February. These are seedless and easily peeled with your fingers. The “Unshu-mikan” is the most popular variety of mandarin orange in Japan because of its juicy and soft flesh. The most of the mandarin orchards are located in Wakayama, Ehime and Shizuoka Prefecture. Peach picking season is from August to September. Since peaches are very delicate fruits and require special care compared to other fruits, entrance fees to these farms are more expensive. The “Hakuto”and “Hakuho” are considered the best varieties of peaches. This activity is fairly easy to participate in. Organized tours that usually last a day can be booked through tour operator. For those who prefer to explore by themselves, most farms allow walk-in visitors but it is always wise to call in advance.